Florida’s Historic Coast is an eclectic combination of old-world charm and history, natural habitat, and beachy fun. The drive south along the A1A Scenic & Historic Coastal Byway from Ponte Vedra to Flagler beach is a visual feast of fish shacks, colorful beach houses, and 42 miles of unspoiled cinnamon sugar beaches. Step back into time in an old Spanish town, visit a luxury spa, restaurant hop for local culinary surprises, and head outdoors for endless activities including watersports, cycling, golf, and tennis. It’s a place ripe for the senses. 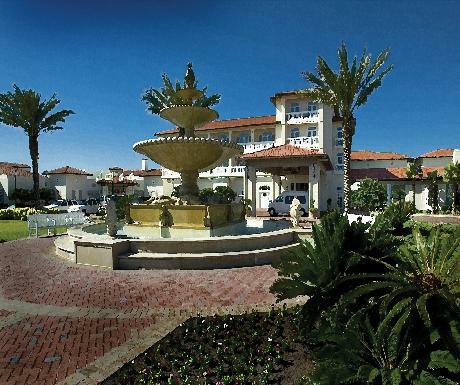 If you are looking for a luxurious Florida beach getaway, Ponte Vedra Inn fits the bill and perfectly captures the mood. Rooms are directly in front of the ocean—you literally step out of your room and within a few steps, you’re in the sand. Sea glass blue walls and sumptuous décor make the rooms feel decadent but somehow still relaxed and beachy. You’ll notice a charming sea horse motif throughout the immaculate resort and a happy welcoming staff. Watch the sun rise from your bed, sip coffee on the porch overlooking the sea, and see the moon come up right over the water at night. This particular beach is special for its abundance of ancient shark teeth that make for some fun beach combing. Dine at the Seahorse Grille for great views and exceptional food like their signature Caesar salad and grilled Mahi-Mahi. The spa is one of the best in the country and is not to be missed. Relax in a chaise lounge on a beautifully appointed porch overlooking the private spa pool post treatment and enjoy some healthy food and drink from the spa menu. There’s plenty here to keep you active, including two golf courses, an ocean front fitness center, 15 tennis courts, pools, and of course, the beach. This is some serious AAA Five-Diamond magic and one of the best-kept secrets on Florida’s east coast. From the second you drive over the Bridge of Lions, you are in another world a few steps back in time. 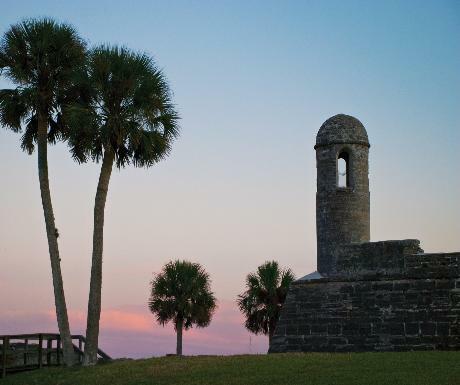 Founded in 1565 by the Spanish, St. Augustine remains rich with historical character. Charming cobblestone streets, pretty bay views, an old Spanish fort, and a wide variety of food options are just a few reasons to visit St. Augustine. Cute little shops, endless outdoor activities, cafes, restaurants, museums, and galleries galore will keep you busy, so allow plenty of time in your schedule for this magical place. 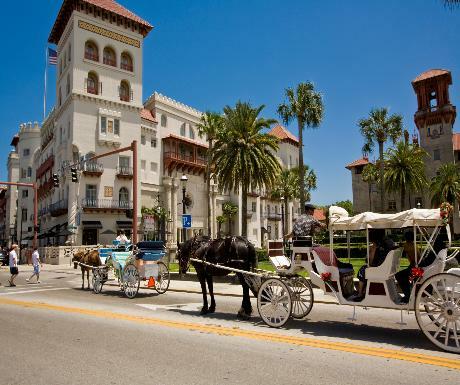 Centrally located in the heart of St. Augustine, Casa Monica is an ideal spot for soaking up the history and atmosphere of the town and you can valet your car and walk to most places you’ll want to see. Built in 1888, Casa Monica is one of the oldest hotels in Florida. It’s a AAA Four-Diamond property that has been renovated to blend old world ambiance with modern convenience. Spanish and Moorish inspired architecture and décor, leather chairs, and canopy beds capture the mood of the city. Notable guests include dignitaries like Desmond Tutu and the King and Queen of Spain, as well as celebrities like Sharon Stone and Angelina Jolie. Castillo De San Marcos is the oldest masonry fort in the country and one of the first things you see when you cross the bridge into St. Augustine. Built by the Spanish between 1672-1695 and later modified by the British and Americans before being retired in 1900, it’s situated on the bay with beautiful views of the bridge and entrance to the town. 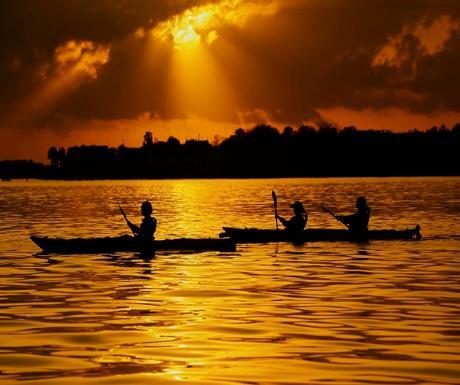 Paddle in Matanzas Bay and learn all about Florida’s natural world with St. Augustine Eco Tours. Founded by a marine biologist with an emphasis on education, conservation and wildlife protection, this is one of the best things going on in the city. 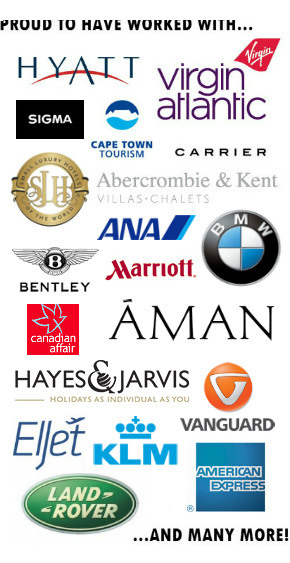 You’ll have the luxury of being guided by an expert who can answer any question you might have. The kayaks are top of the line, as comfortable as a lounge chair and very stable—perfect for beginners. Enjoy spectacular views as you paddle right under the Bridge of Lions and past the Castillo through the marshes. Not only do you catch glimpses of wildlife up close and personal, but your guide can tell you all about what you are looking at. Mitigate vacation indulgences with some fresh pressed green juice and the most amazing collard wraps you can imagine at Present Moment Café, just slightly off the beaten path. 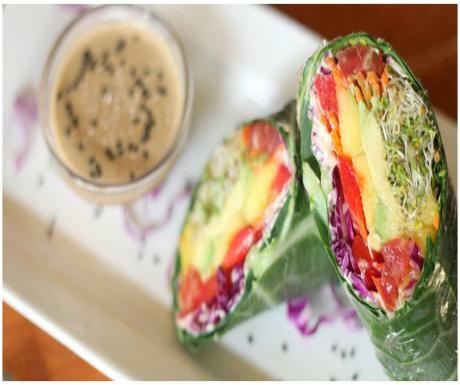 This is healthy colorful organic, raw, vegetarian food that tastes like decadent treats. If you like history and strolling through collections of interesting curios, check out St. Augustine’s Flagler College and the Lightner Museum across the street. 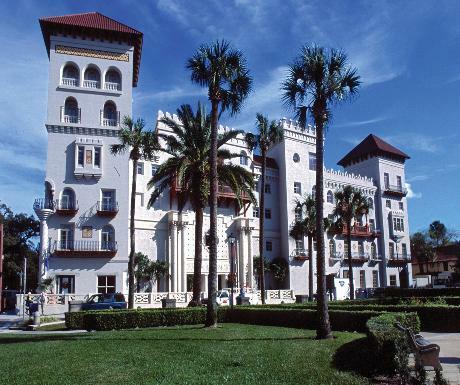 Both were once luxury hotels built by American Standard Oil tycoon Henry Flagler and are now open to the public as historical monuments. Flagler College is a functioning four-year liberal arts college and the Lightner Museum is part museum, part City Hall. Literally an old ice manufacturing facility adjoined to the St. Augustine distillery, the Ice Plant is a new restaurant big on craft cocktails with an emphasis on the quality of ice and how that influences the drink. They use quality ingredients for their menu, like grass fed beef and locally sourced food. 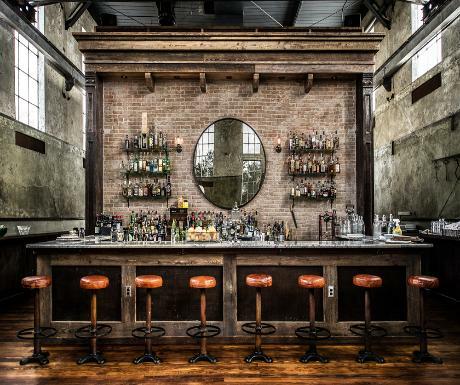 The atmosphere is ultra cool industrial, furnished with antiques and a blend of rustic and modern décor. Think concrete, wood, glass, and steel. 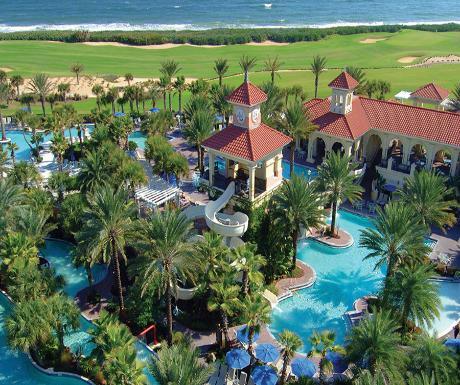 Located in Palm Coast between St. Augustine and Flagler, Hammock Beach is an AAA Four-Diamond mega resort. It’s perfect for families with small children and offers a variety of accommodation options and large one to four bedroom condo-like suites with full kitchens and washer and dryers. It’s popular for its ocean front golf course, but has many amenities. Take a dinner cruise on the Sundancer yacht, have a spa treatment, rent a bicycle and cruise around the neighborhood, play putt-putt golf with the kids, hang out under an umbrella at the beach, or just relax and float around on the lazy river. There’s something for everyone and plenty of space. Just outside the resort is a grocery store so you can prepare food in your suite. 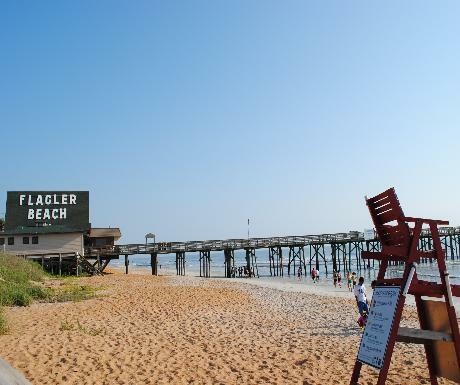 Colorful beach houses, quirky little fish shacks and six miles of gorgeous dog friendly beaches are what makes Flagler stand out. Flagler is just plain cute and it’s full of character. Named after Henry Flagler, it remains (for now at least) uncorrupted by tourism and has the feeling of an authentic seaside community. It has a very local vibe and it’s fun to hang out by the pier and watch people surf and fish. You’ll find lots of food options and funky little shops, but the highlight is the relaxed and uncrowded beach. Now that is my type of bar! Damn, I almost feel like adding into my house renovations over in Bali in the next 2 weeks. That’s really interesting. I’ve seen that Hammock Beach resort before. Stunning place! I love any resort which provide a really nice swimming pool.. A lot of the time I don’t even swim in them.. I just gaze into them. So beautiful. All looks beautiful. The Casa Monica Hotel in particular looks like a stunning piece of architecture. I’m a world travel guy who’s seen little of the States but I may set aside a trip for Florida and a few other select spots. I need to do the tropics first and foremost. I’m living in Fiji now for 4 months and must say that the sunset shot rivals some of the pristine, stunning sunsets we’ve snapped here. Awesome snap, and kudos to the photographer. Ken-I agree about the decor at the Ice Plant, I would love for my house to look like that. The whole place (part restaurant) has a very cool mix of old and modern. Kind of an industrial loft vibe, but with enough wood to soften it up a little. Ryan-Fiji is high on my list of places I want to go. If you do make it to FL, be sure to head down to the Keys for more of an island setting. Thank you both for reading and for your comments, happy travels! Great information. Definitely places I’d consider putting on my list of Florida travels. I agree that bar is especially brilliant.